So after the trailer leaked, Activision saw fit to officially announce Call of Duty: Advanced Warfare. This is the first Call of Duty game made completely by Slegdehammer Game and its almost unrecognizable. 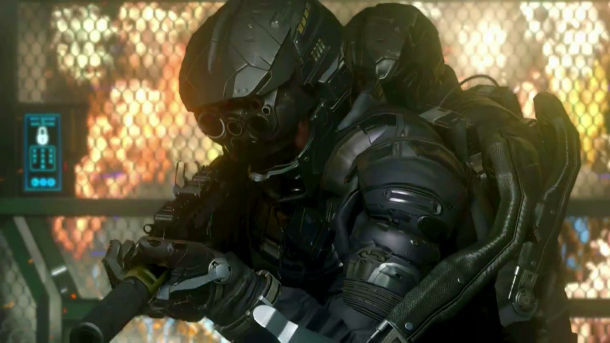 The game looks like a mix between Call of Duty and all the tech from Elysium. I have not play the Call of Duty series in years because I kind of grew tired of it, but this is too interesting to overlook. Despite my feeling on the Annualization of games, Activision seems to try to change up the Call of Duty formula enough every year so it seems completely new. Also, with the release of TitanFall, they are facing some stiff competition so the change feels necessary. Also Kevin Spacey, whoo hooo!